After Kung Fu Panda, who hasn’t fallen in love with Pandas. Actually most of us for sure loved pandas much before that. They are cute, fluffy (that’s what we think) and nice to look at. 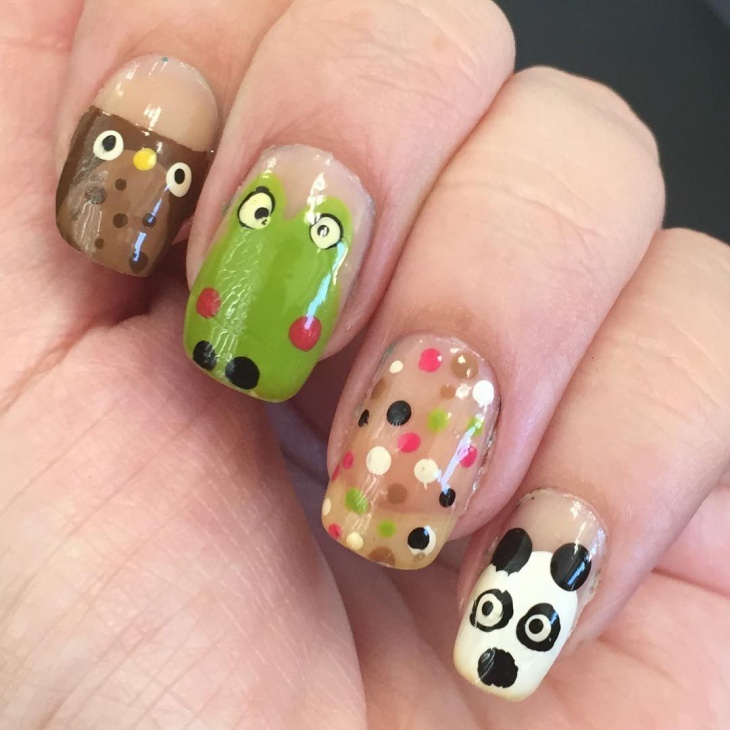 Imagine a thing so cute on your nails. 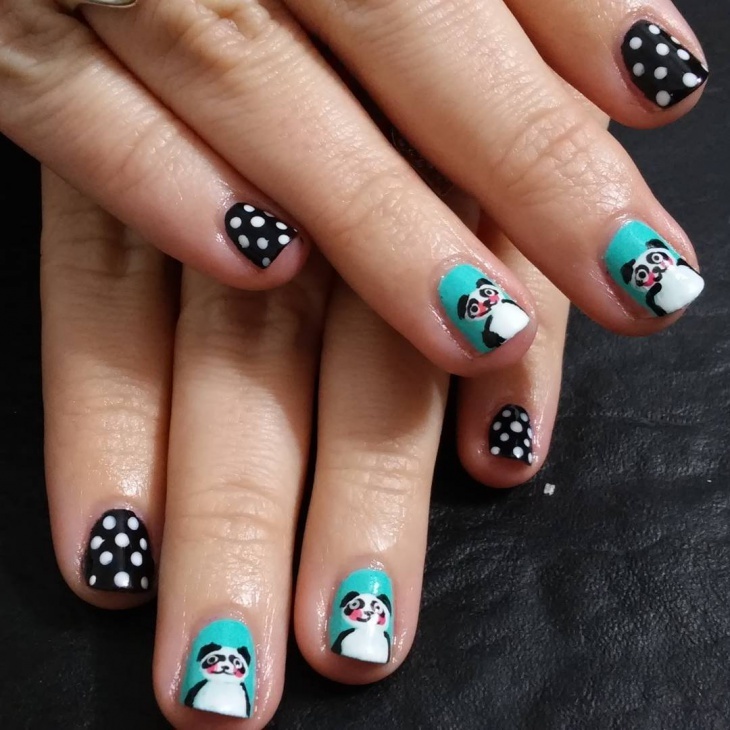 The panda nail art design is going to be an adorable nail design. 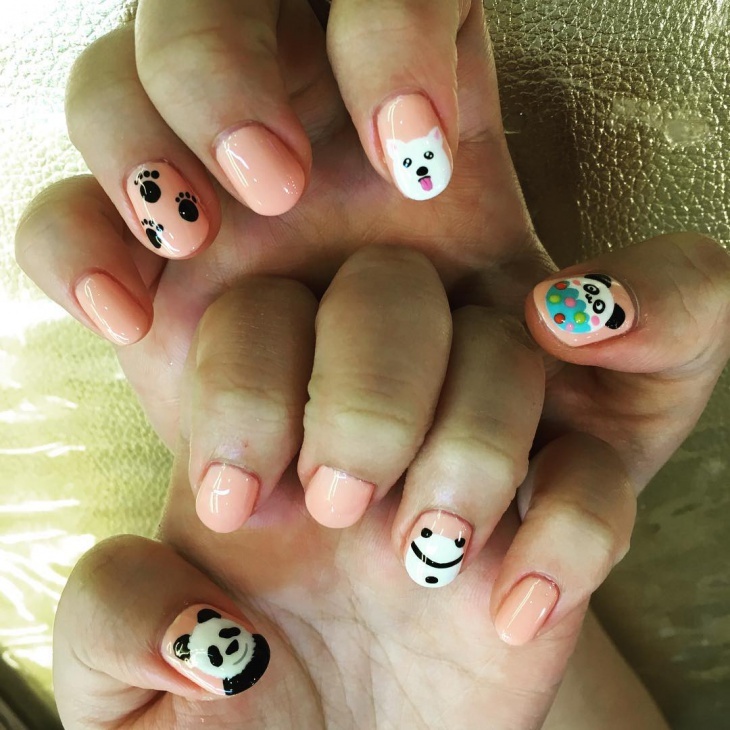 The animal nail design in itself is adorable and pandas are going to be the highlight of the season. 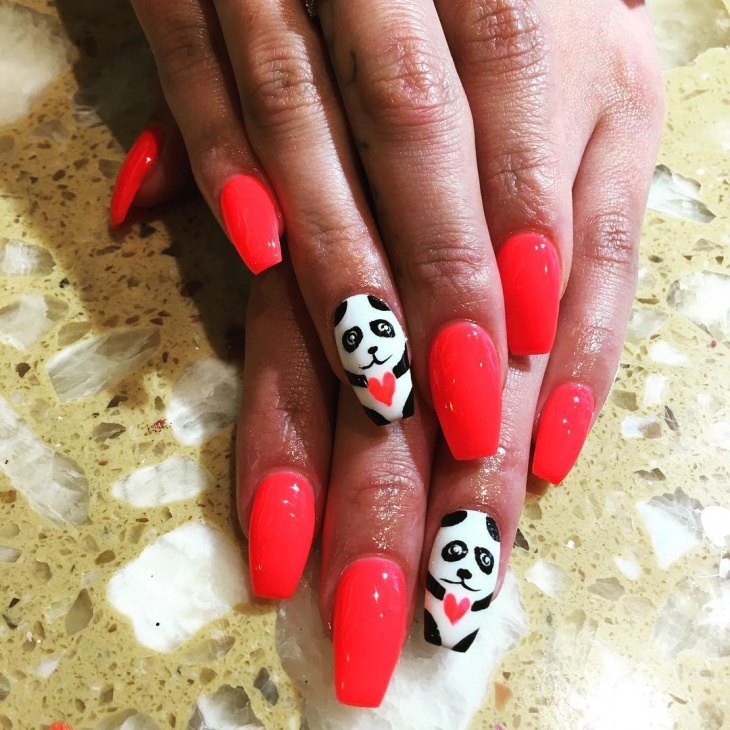 Let’s take a look at some of the funky panda nail art designs. The love for panda won’t fade; this design proves that point well. The red compliments itself quite well but the panda design in between is just adorable. 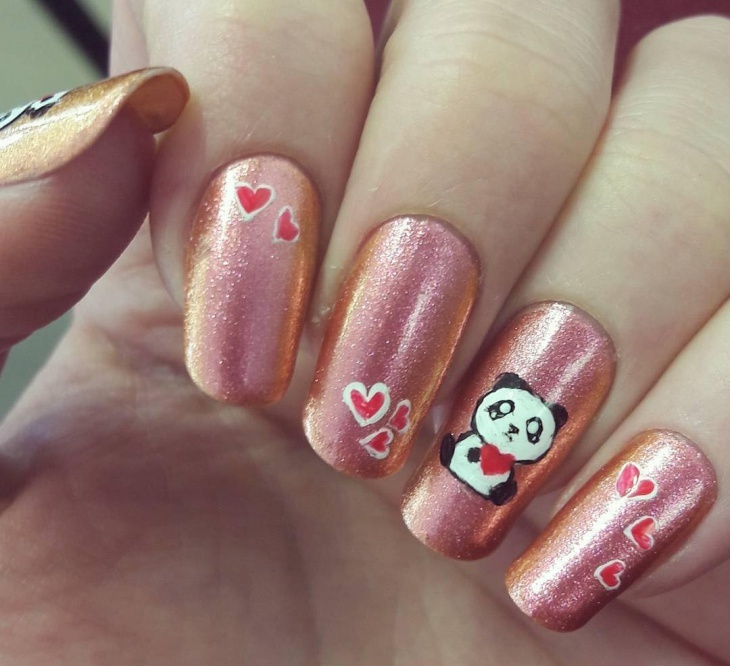 The panda on each nail is with a red heart. The design blends together well. This design is such a visual delight. 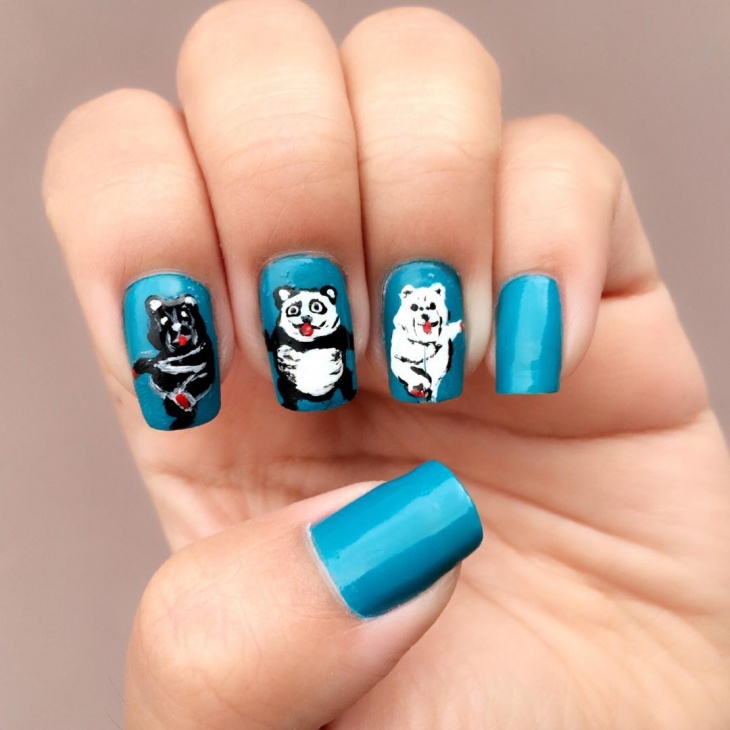 The blue nail paint is a pleasant color and the panda drawn on it is adorable. 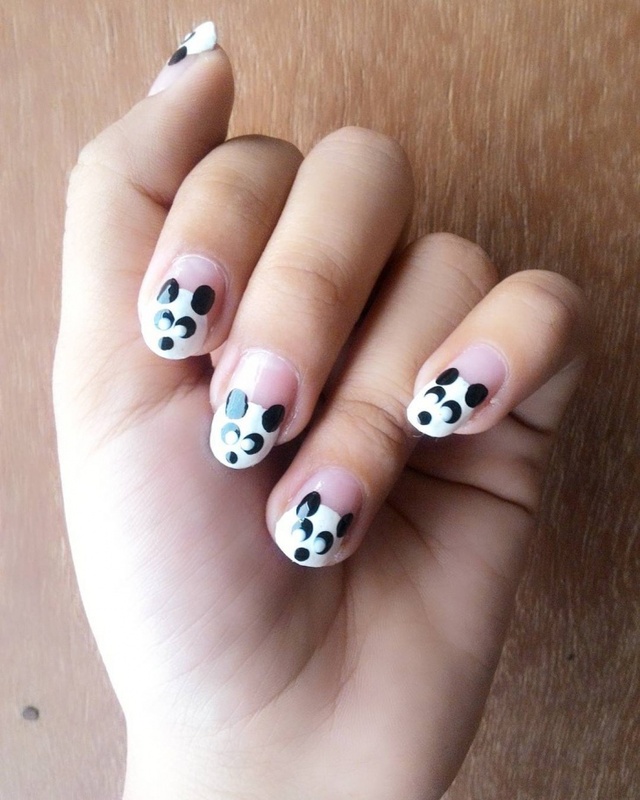 This looks very similar to Minnie mouse nail design. 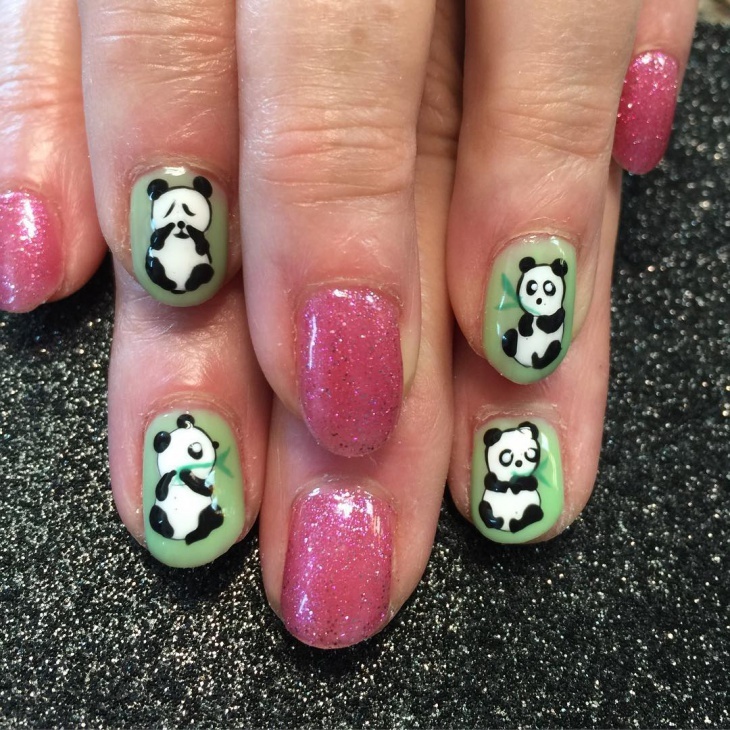 The panda is the highlight of this design and it brought out wonderfully. If you want to go with a simple and small design, this should fit in perfectly. 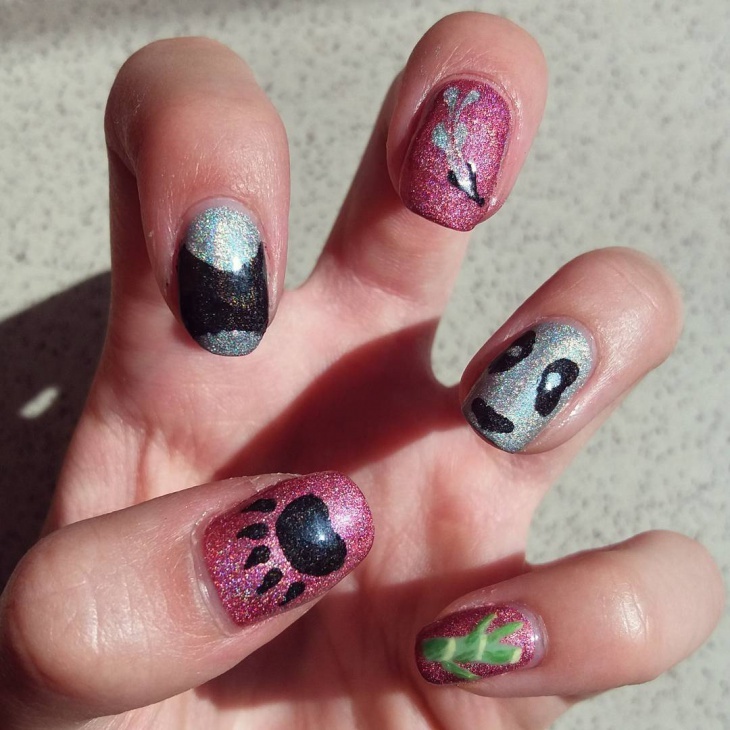 The glitter nail pain is taking up most of the attention with a small panda in between. 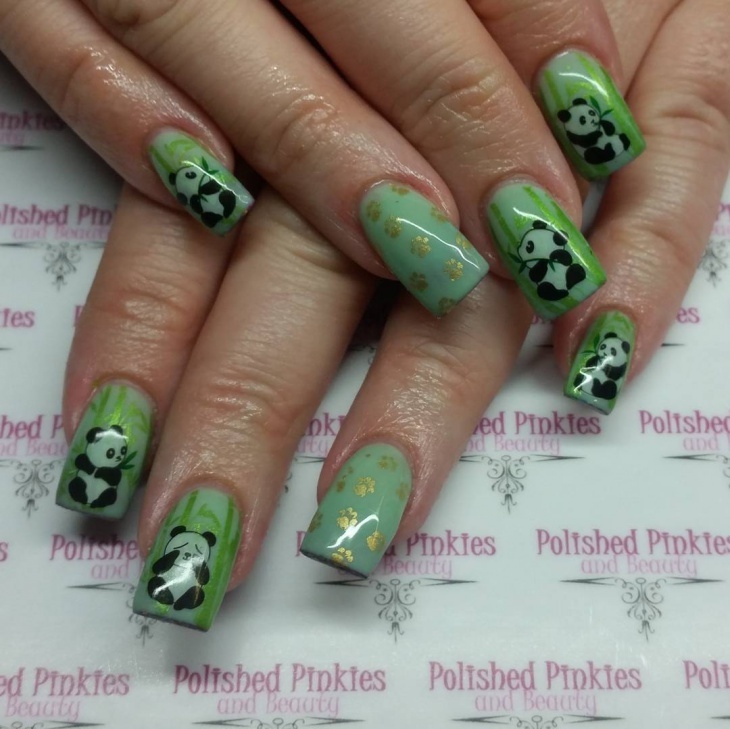 The panda is a sticker that can just be stuck on to the nails. Panda’s are always associated with bamboo. This design represents the life of a panda perfectly. The design is well executed also, the bamboos are drawn out well and the panda, and the cute little bear is just sitting there the way it usually does. Well thought off design that has been painted finely as well. 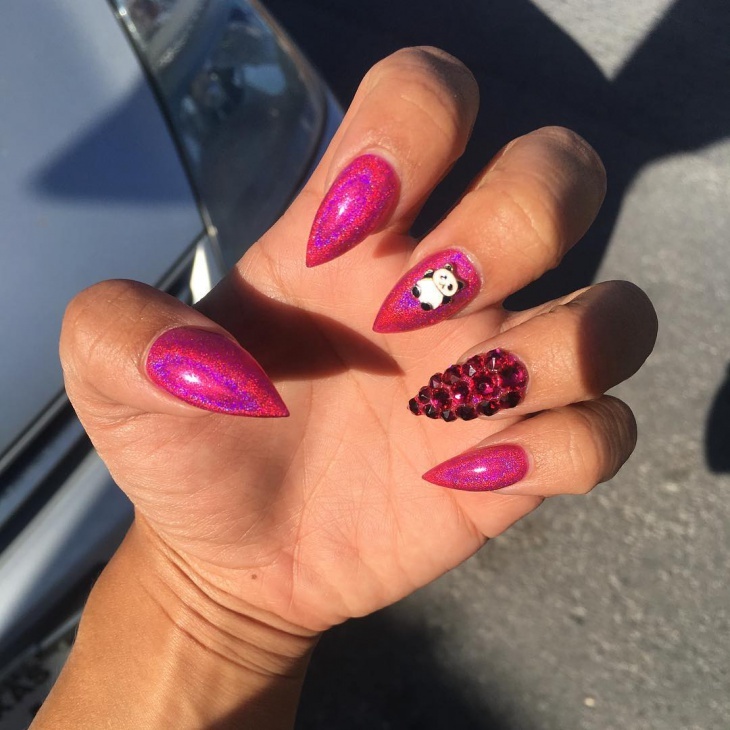 Be it short nails or long nails; we have a design for everyone. This design is for people who like to keep their nails short. The pink is a nice color that is quite commonly used. The extra add ons are what make it look even better and stand out. 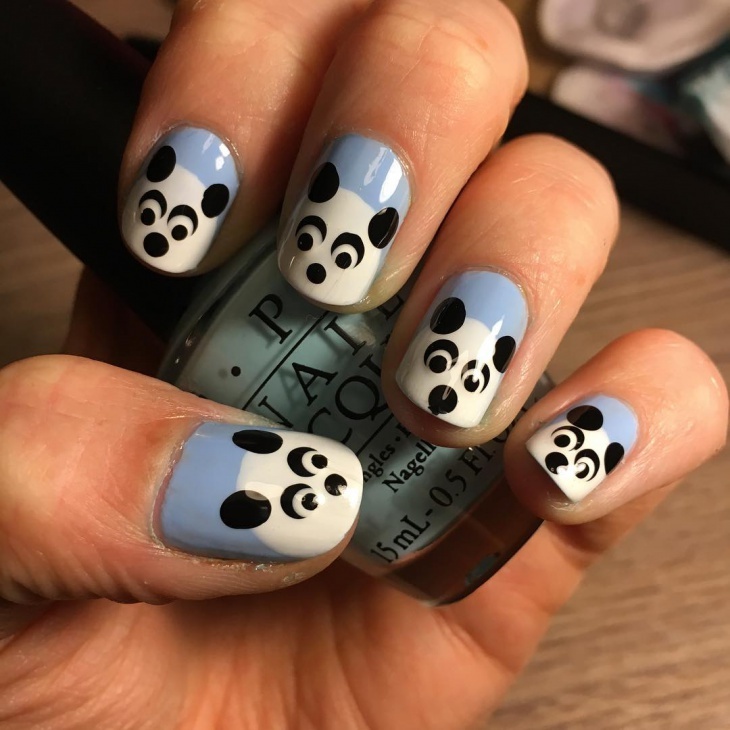 The panda peeking out of one nail is one such design that is absolutely adorable and blending well with the rest of the design. We have done so many French manicures but nothing could ever be better than this particular one. If you like standing out and experimenting with funky designs, this one fits into the bracket perfectly. 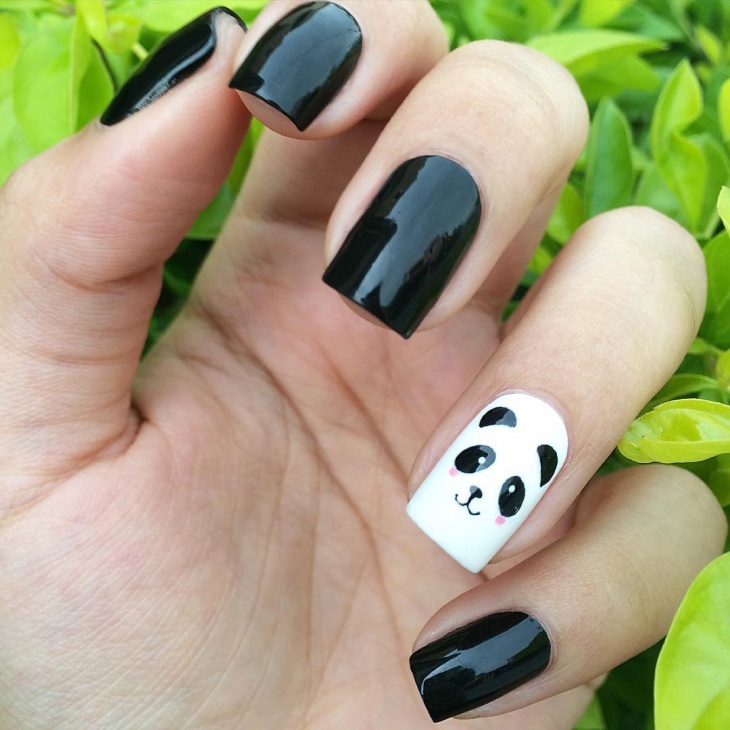 The panda is used as a French manicure design and we must say it looks awesome. This is a subtle design with subtle colors and cute representations. The cream color is a nice blend and would go perfectly with anything; apart from that the panda paw prints are something that are appealing. Po was our favorite in Kung Fu Panda and to get a design that looks like him would be so delightful. The blue color is fantastic to look at and with Po all over it, this one is worth showing off. The cute little baby pandas had to catch our attention. Look at the adorableness in ever design. 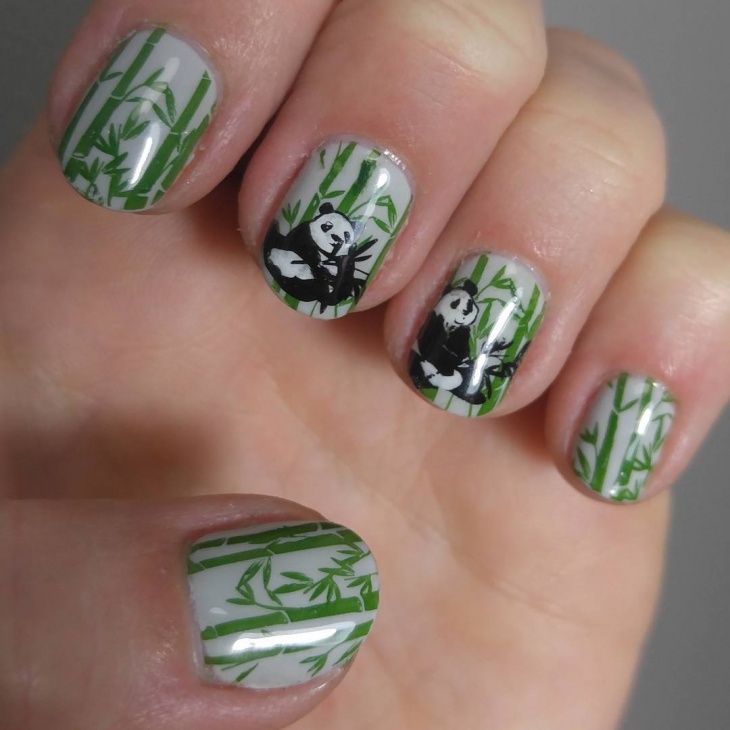 Pandas love bamboo and this design we can see the baby panda chewing on the bamboo also. 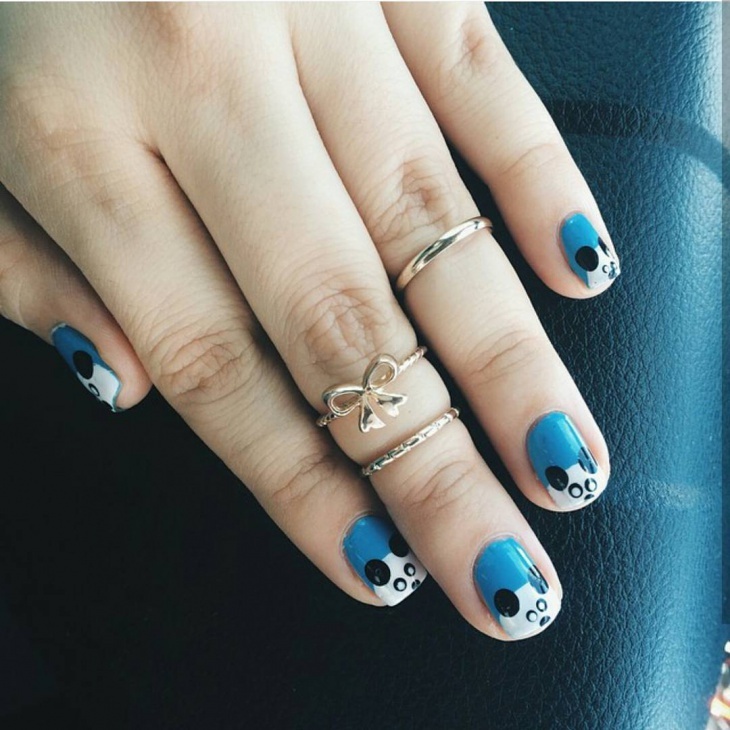 This one hits our list of the cutest nail design. 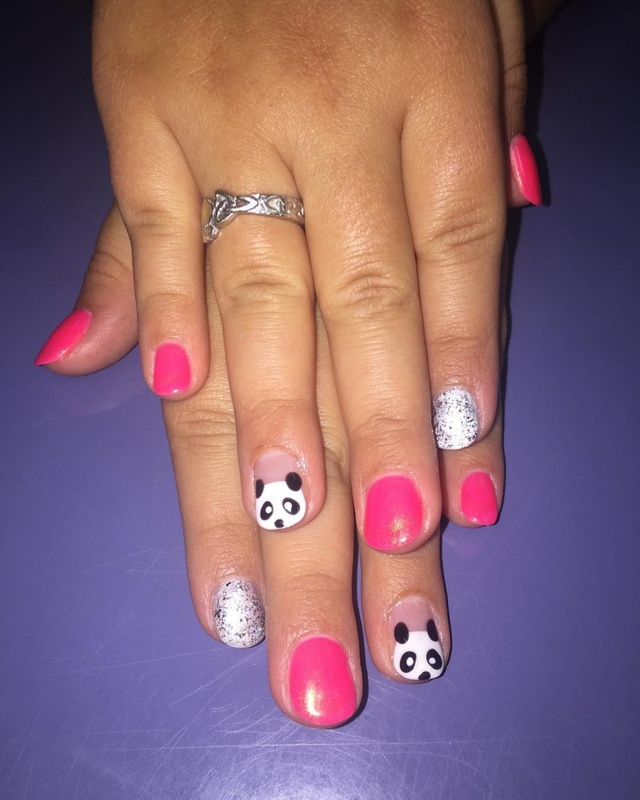 This has polka dots to make it look traditional, glitter to make it look glamorous and a panda face to make it look charming. 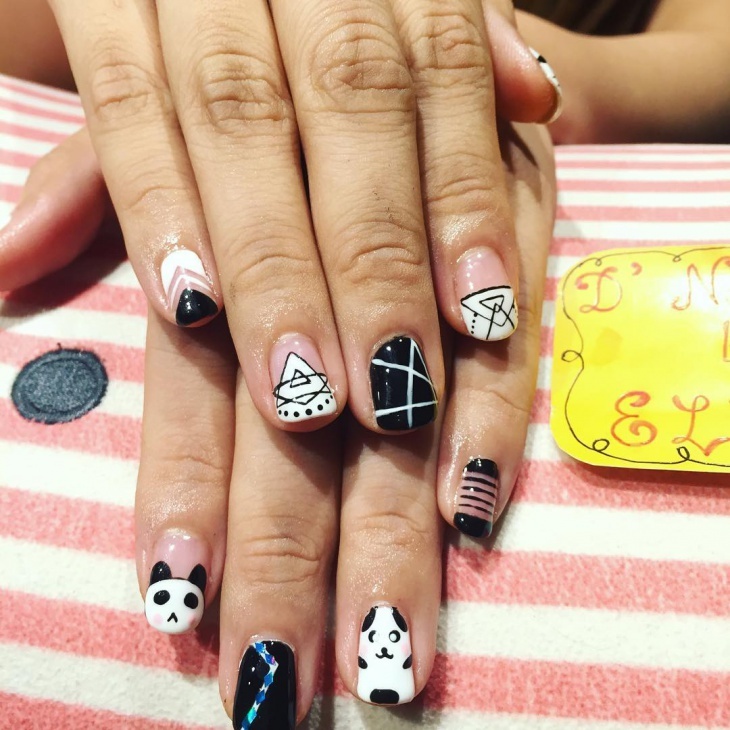 Overall this design is eccentric and stylish nail design. These nail arts would look equally good as toenail designs. Each of them is creative, funky and filled with a big bunch of cuteness. The nail paint of each design is extremely thoughtful.